This is not your standard Greek dish. It is not eaten next to the beach, with a cold beer in your hand and the temperature hitting the 40s. Instead, think snow, skiing, log fire. Yeah, we have that in Greece too! 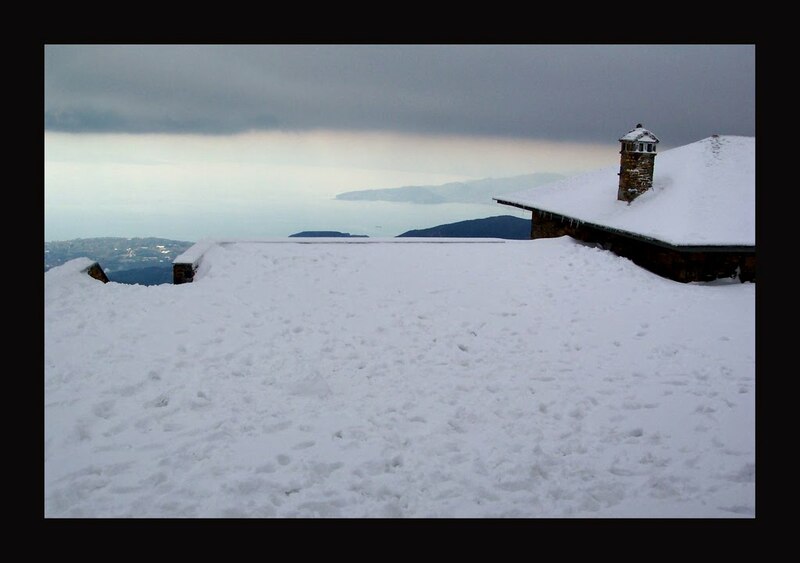 It comes from mount Pelion on the peninsula you see above, which I have never visited but I am desperate to. Its beautiful and unique location means that you can ski while having a view of the sea. 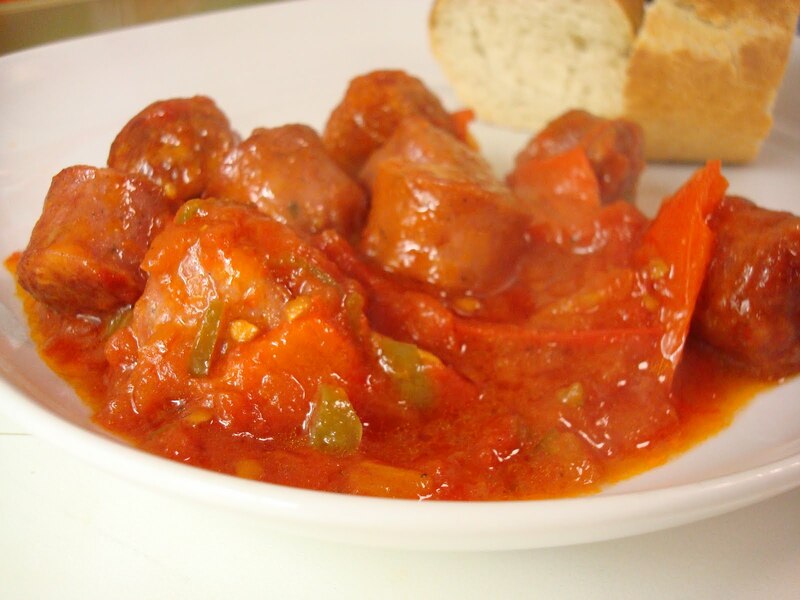 As you would expect from a winter warmer, Spetsofai is spicy, rich and full of flavour. The ingredients are very simple but it’s important to pick some nice sausages, preferably Italian ones as I am guessing they will be the closest to the Greek ones. I used some Lefkas ones, from the same producers that make the Lefkas salami which is now becoming quite famous in the rest of Greece. It really is very simple. 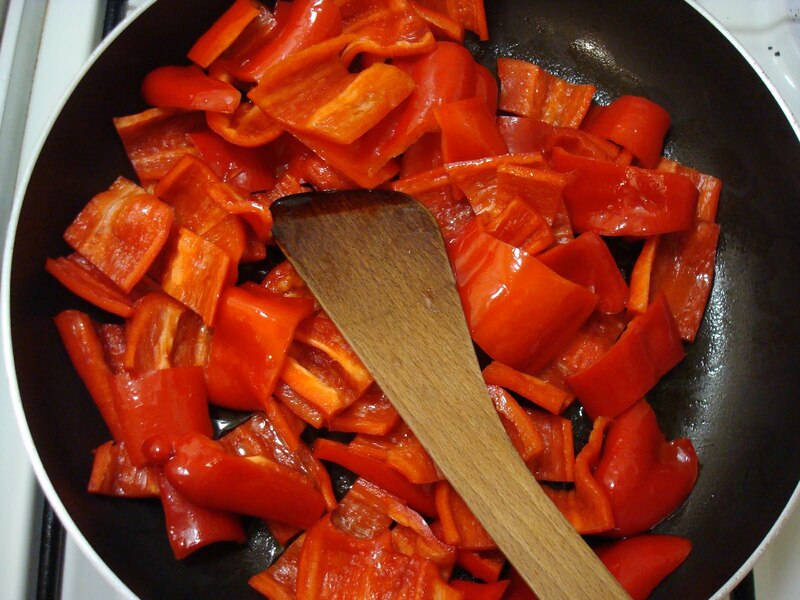 Cut the peppers in quite large chunks and fry them in some olive oil until soft. Then slice the sausages 1 inch thick and fry them. Remove from the pan. In the same one, add the chopped chillies , give them a couple of minutes with some olive oil, and then add the tomatoes and the salt/pepper. Add some water and let it cook for 5-10 minutes. Add the sausages and peppers to the sauce and leave it for a further 5 mins or until it looks saucy but not too watery. If you are using garlic, chop it finely and throw it in the pan together with the chillies. If you are using aubergines, slice them, brush them with the olive oil and grill them until soft. Then cut in half and add to the sauce just before the peppers and sausages. You can fry them if you want, by be careful because they absorb a lot of oil. The best peppers for this are the green long sweet ones. 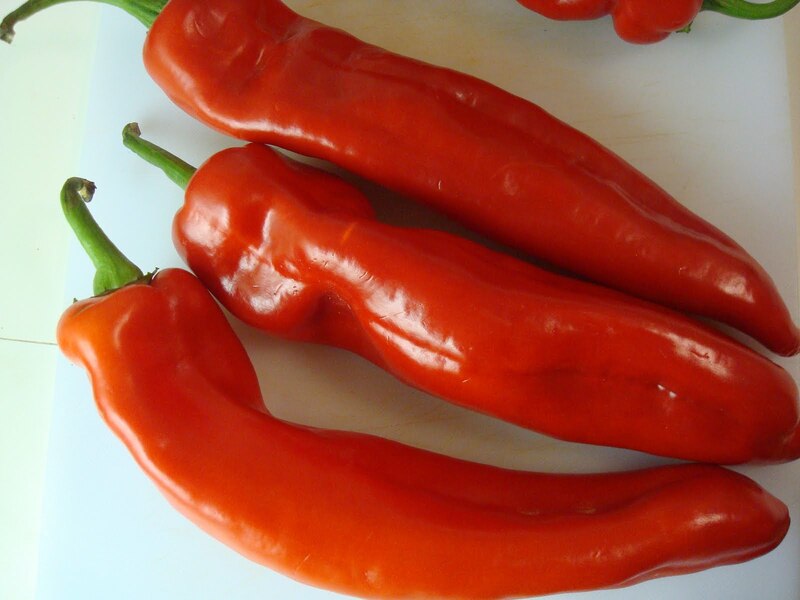 If you can find some spicy ones too, you can use them instead of the chillies and be more consistent with tradition. I didn’t, so I substituted for sweet red pointy peppers and green chillies. 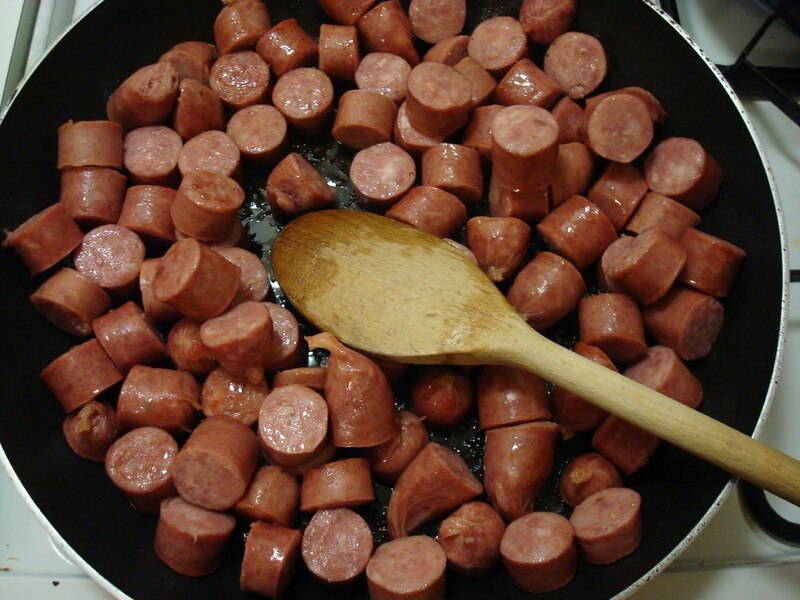 If your sausages look like they won’t hold their shape very well when sliced, cook them whole first and then slice them and add to the sauce. Serving possibilities are endless really, but I like to keep it simple with some nice crusty bread. Feta cheese (of course!) goes brilliantly with it. There is no reason though you can’t serve this with some pasta or mashed potatoes. Next time on Round the World in 100 recipes: Summer might have just come early. And I am turning vegetarian. Weird stuff.